I don’t know who spoke first — Steve Davis or I. When I was at Giant at North Point Village in the checkout line buying several packages of cream cheese, he said, “Someone likes cream cheese.” His tone was friendly and non-intrusive. His line was delivered in such a way that I could ignore it or take the bait. You know me; I never back away from a friendly face and a good chat. I told Steve about this blog, snapped his photo, and asked him if I could share his recipe. 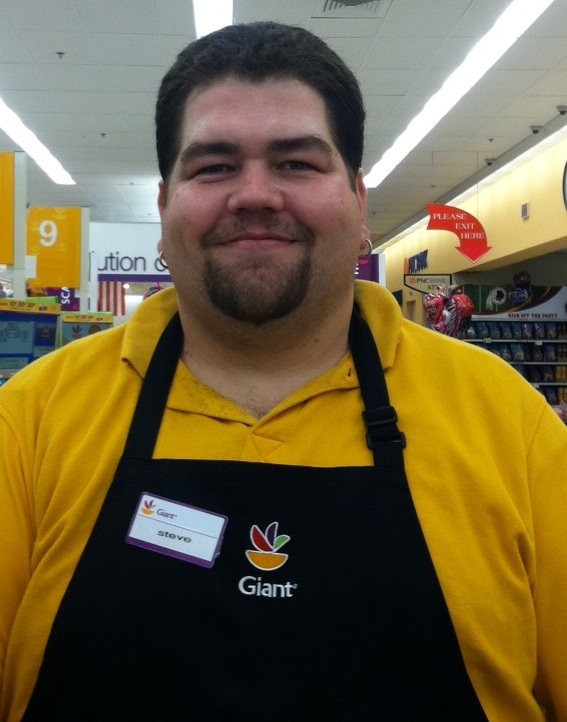 “All our customers at Giant are special,” he replied. 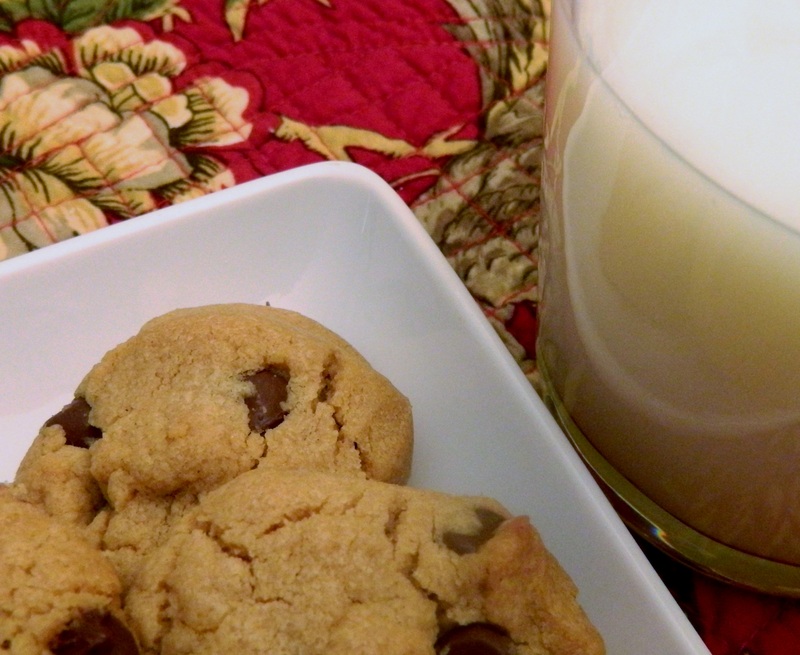 Mix the three ingredients and add about a cup of chocolate chips. Drop onto cookie sheet and bake for about 15 minutes at 350 degree oven. Check the time as it depends on your oven. I just love these bottles of dessert wines lined up on my bar. If you walked into our home and saw these waiting for you, wouldn’t you just want to sit down and have a little sip with a bite of dessert? I hope so, because that’s what Kelley Hospitality is all about — making you feel like we were waiting just for you to come by. Invite a few friends over later in the evening for dessert and wine. To keep it simple serve one wine and one dessert. 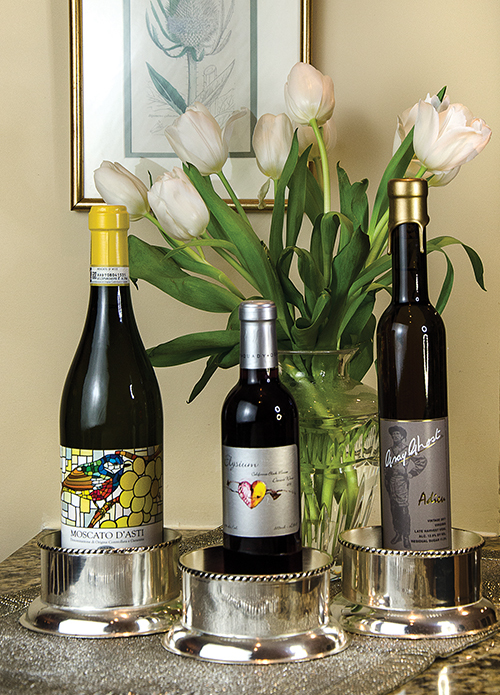 Serve the first wine on the left — the Moscato D’Asti — it’s light, bubbly and low in alcohol. It pairs well with a cheesecake, pound cake, apple pie, cobbler or the like. If you’re short on time, buy the dessert. If you can’t find the Moscato D’Asti, serve any Spumante. Add some decaf coffee and tea, and you have an easy get together. If you want to get a little more elaborate, read a Wintertime Dessert Party in Celebrate Home Magazine (page 44). Photo by Cindy Dyer. 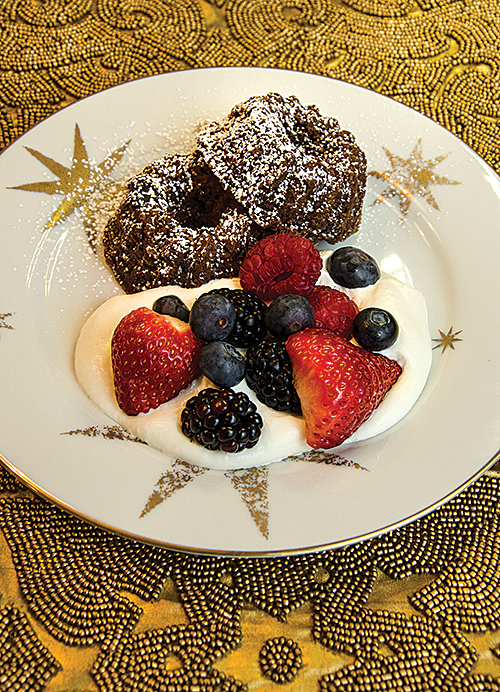 My petite chocolate bundts are rich and gooey with a hint of something..what is it? 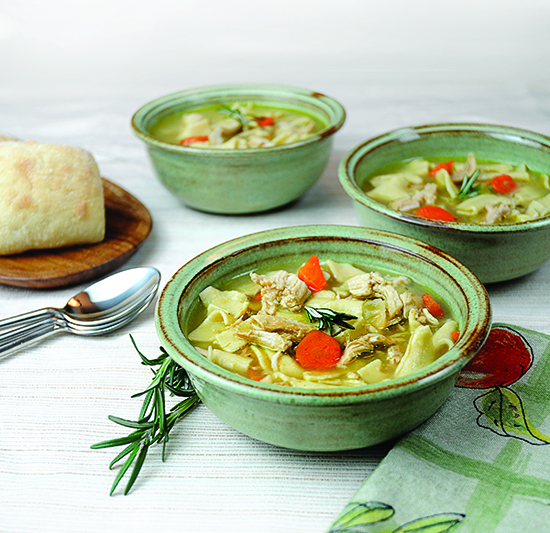 For the recipe see the winter issue of Celebrate Home Magazine (page 50). Gather friends for an intimate, mid-winter’s night dessert party. This is one of the easiest parties to host by keeping it small and limiting the menu. 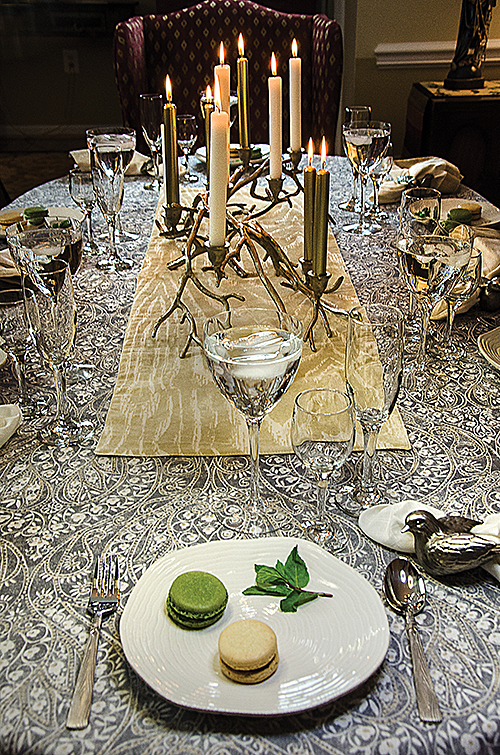 Create the atmosphere with an imaginative tablescape. Use candles and wintry colors. Here my table is dressed with silver, gold with winter white. Barren branches dress the table with bird napkin holders and dessert plates. Dress your table to parallel your climate. If you live in warmer climates, use some greens in season from your yard. For example, in south Florida the Calamondin oranges are in bloom. Pick some branches with the small colorful fruit for your table. For more on how to have a simple dessert party, complete with menu and wine suggestions, check out the Winter issue of Celebrate Home Magazine. Photo by Cindy Dyer. This cheesecake is extra creamy, much different than a New York-style cheesecake. I wanted something different than the traditional graham cracker crust so I chose vanilla cream cookies. A unique crust and a topping of fresh nectarines gives it a unique tang. 1 heaping tablespoon of apricot Polaner All-Fruit, high fiber. Crust: Grind cookies into a medium-crumb consistency in a food processor (similar to graham cracker crumbs). Mix crumbs with melted butter and sugar. Press mixture into a nine-inch ungreased spring form pan. Can also use fresh apricots when in season. 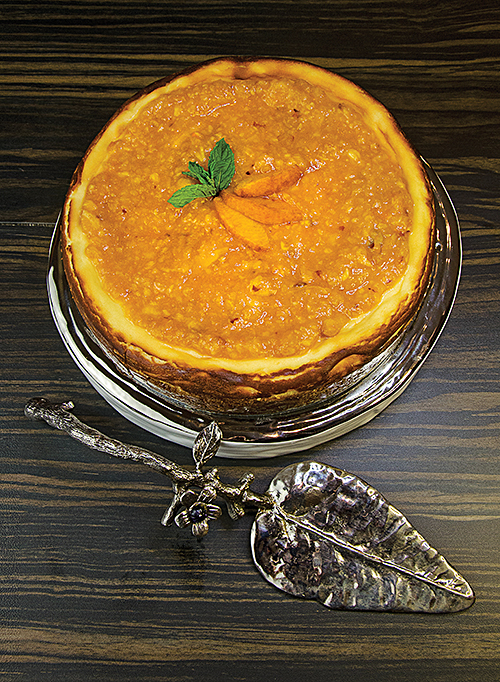 This recipe is part of the menu for A Wintertime Dessert Party in the new issue of Celebrate Home Magazine. Find out what wine pairs well with the cheesecake and other yummy desserts. 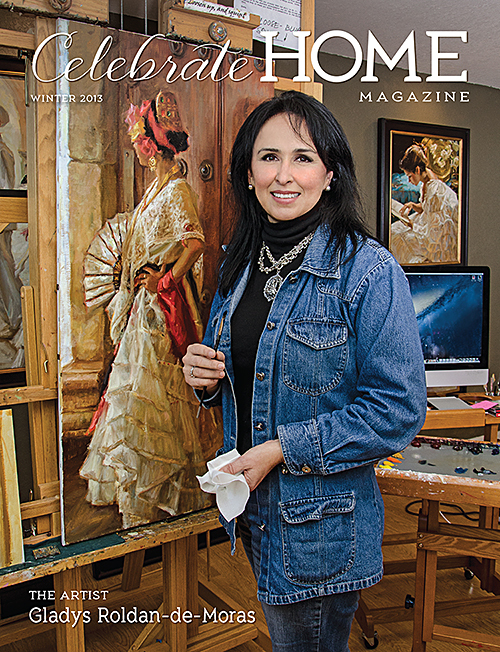 Download the magazine for free here.